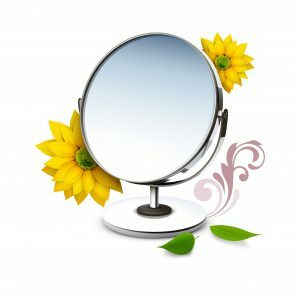 Many people would have hardly heard that mirrors could also be used for meditation, in this post we will see one such unique practice that is considered as a very powerful tool for the spiritual growth. I have discussed earlier about tratak (the gazing meditation) and one of its forms known as tratak on a black dot, this method is another variation of the same. Since tratak meditations requires you to keep your eyes fixed on an external object for a long time, so I would strongly suggest you to be careful and do it only if you are comfortable with it. If possible, then please find a mentor or master since this way it would be safe and you will be able know where you are and where are you going with this whole process. What Is Mirror Tratak and How Is It Performed? Mirror tratak is the meditation method where the practitioner has to gaze at his own mirror image and concentrate on it. Fix an appropriate place and time before you begin, by creating a good atmosphere for meditation you can increase its effectiveness. 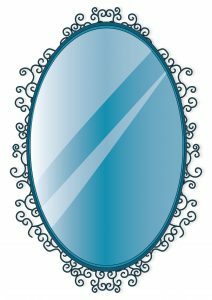 Place the mirror at a distance in a way that becomes comfortable for your eyes to gaze at your mirror image (a mirror size of about 12*6 inches is usually preferred and the distance should be around 2 feet). 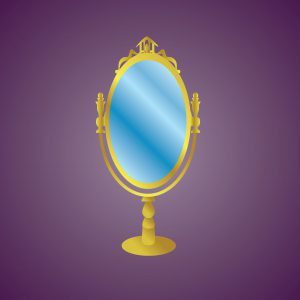 Now, start gazing at the mirror reflection of your face without blinking your eyes, make sure to not only keep looking at your mirror image but to also stay focused. Your mind will wander while doing this and it is perfectly alright. Whenever this happens, just gently bring your attention back without fighting with your thoughts. Don’t try too hard ,keep gazing at the reflection as long as possible, but you must stop it when you start getting too much uncomfortable. Gradually, you will be able to do it for longer duration, but initially keep your session between 10-13 minutes. One big mistake people usually make is that they try to keep their eyes open for long by forcing it. You don’t get anything out of this meditation from your ability to gaze for longer periods, the success here is all about how much you are able to detach yourself from your thought process. When you fix your eyes at your mirror reflection, you will find that the mirror image of your face changes and it can distract you. Whether it is funny or scary do not get carried away by your instinctual reactions, remember your aim and don’t allow those feelings to ruin it. The best way to handle such thoughts/feelings is to observe them without trying to push them away, getting engaged in it or worrying that you are losing your focus. If you can learn to your mind activity, you will be able to easily concentrate on the mirror once again. By practicing mindfulness exercises, you can become good in becoming a conscious observer. You will also see your face in the mirror getting vanished when you are able to concentrate better and that signifies your progress. Improvement in the ability to concentrate. Better control over emotions and feelings. Greater awareness of mind activities. More present movement awareness and detachment from past/future. Experience of unconditional love and inner peace. Enhanced intuitive power and creative power. Splash cold water on your eyes and keep wet cloth or cotton on it for a while after doing this meditation in order to avoid any irritations. Do not practice tratak if you have any eye related problems or if you wear spectacles. Do no practice tratak if you suffer from low or high blood pressure. Stop doing tratak if you experience any strong discomfort. This meditation is not meant for minors. I hope you enjoyed this post, you can get some more information on tratak meditation here and I would also like to recommend the book “Dharana Darshan” which contains a great deal of information on external object concentration exercises based on ancient wisdom that can help you with your spiritual progress.